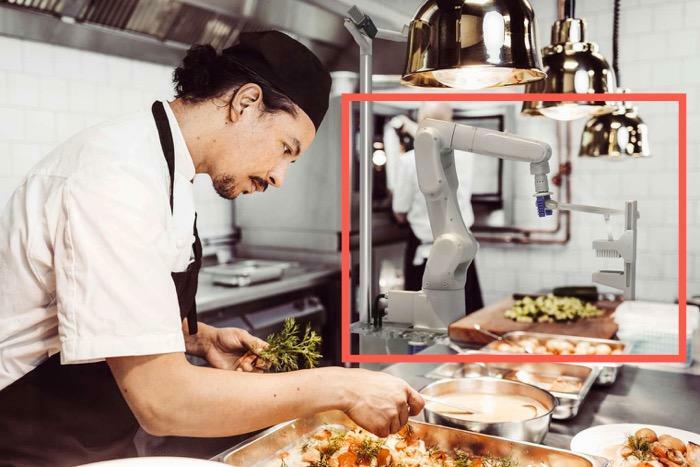 Miso Robotics, a Pasadena developer and manufacture of artificial intelligence-driven robots that assist chefs in making food at restaurants, has secured a $10 million Series-B from Acacia Research and Levy Restaurants in its latest round of VC funding according to Tech Crunch. In total, Acacia Research has plowed about $14 million into the deal. 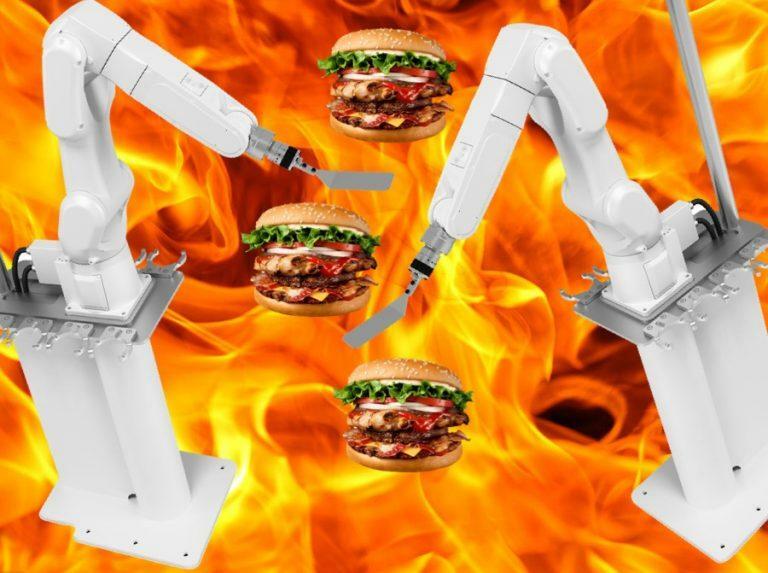 The company, which has developed artificial intelligence-driven hamburger-cooking robots will begin flipping burgers at CaliBurger in Pasadena, California in the second-half of 2018 and expand to over fifty locations by the end of 2019. “We’re super stoked to use this funding to develop and scale our capabilities of our kitchen assistants and AI platform,” CEO/co-founder Dave Zito said on a call with TechCrunch ahead of the announcement. Flippy, an industrial robotic arm mounted to the ground and modified for use in a commercial kitchen, is really nothing more than a knock-off of Intuitive Surgical’s da Vinci Surgical System, but instead of the EndoWrist performing complex surgeries, there is a metal spatula flipping burgers. The core of the robotic arm is manufactured by Fanuc America and incorporates “Miso Robotics’ cloud AI platform to operate the robot using a combination of cameras, thermal scanners, and lasers,” said Venture Beat. “Flippy can detect cheeseburgers and remove cheeseburgers. After they’re flipped, it can change spatulas while it’s working so that we’re actually adhering to food safety guidelines, and will switch to a grill scraper and be able to clean off portions of the grill after it’s done cooking burgers,” he said. In October, we reported on Zumba Pizza, a Silicon Valley-based storeless food delivery startup that uses robots to bake pies. The company, which first began delivering pizzas last year, was founded on two core concepts: robotic automation and on-route cooking. Robotic automation is easy enough to understand. Zume, which sources machines from industrial robot maker ABB, employs these devices for tasks like dispensing the perfect amount of sauce, spreading that sauce, removing pizzas from ovens, and, now, spreading the dough with just the right thinness and crust-to-pie ratio. The various robots work in unison with humans in an assembly line-style work space attached to the company’s Mountain View facility. Of course, if Flippy is successful, it will unleash the first wave of layoffs that could amount to hundreds of low-wage millennial burger flippers at CaliBurger’s California locations from the second half of 2018 through 2019. Then after that, a much larger second wave of layoffs could amount to hundreds of thousands if not millions of layoffs as major food and dining corporations will be forced to automate their kitchen lines. But don’t tell Trump that a majority of the jobs added over the past 12 months have been employment in food services and drinking places, he’ll just call that fake news, as his administration is about to feel the wrath of a tech-induced surge of unemployment leading into the next elections in 2020.